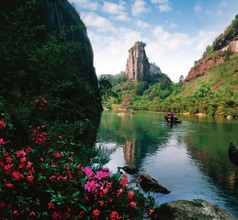 Located on the spectacular Wuyi Mountains in the Fujian Province of China is the lovely city of Wuyi Shan. 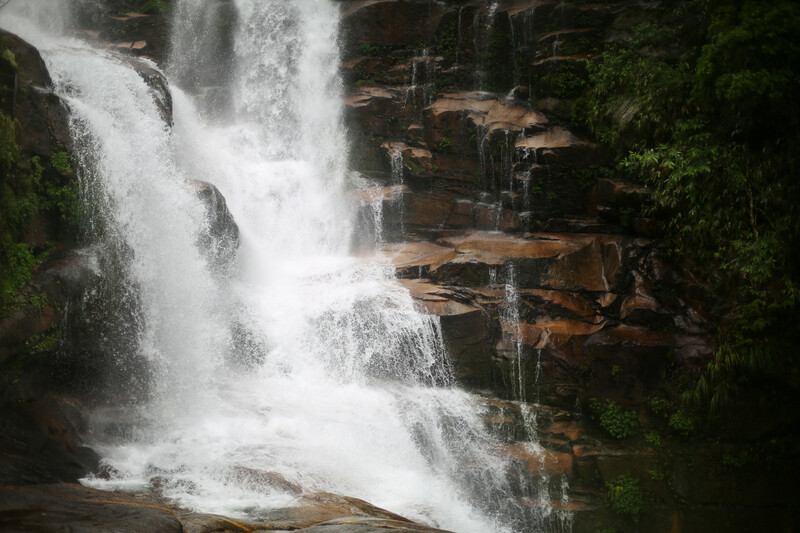 This hill-resort city is blessed with pristine surroundings and a wealth of biodiversity that has made it a must-visit tourist destination. 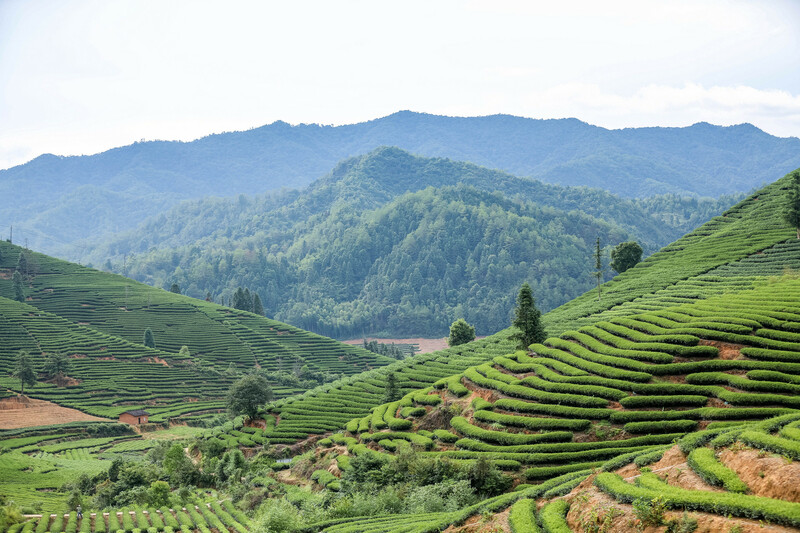 There has been a spurt in inbound tourists from within China and overseas who are attracted by the lush greenery that has been listed under the UNESCO Man and Biosphere Program in the year 1987. 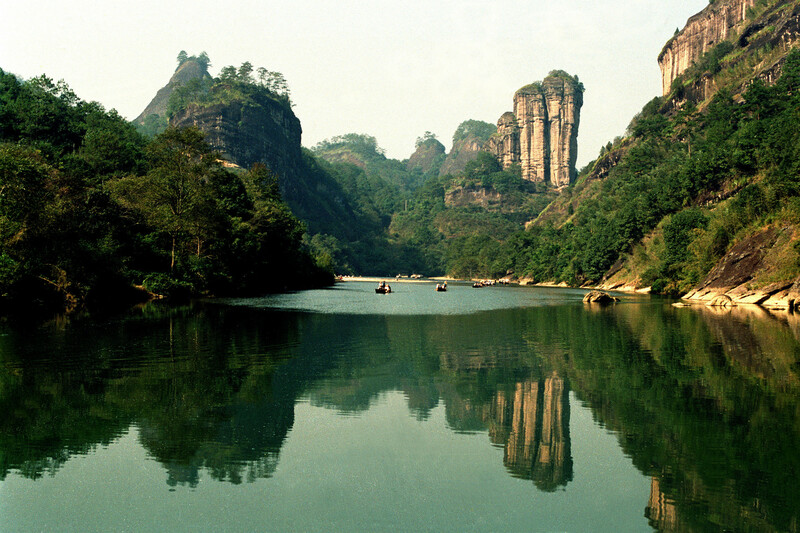 The region around Wuyi Shan City has also been declared a UNESCO World Heritage Site in 1999 because of the abundant flora and fauna, and the ancient Buddhist, Taoist, Confucian temples and churches. The city is a historical, cultural, and religious site that draws countless tourists throughout the year. 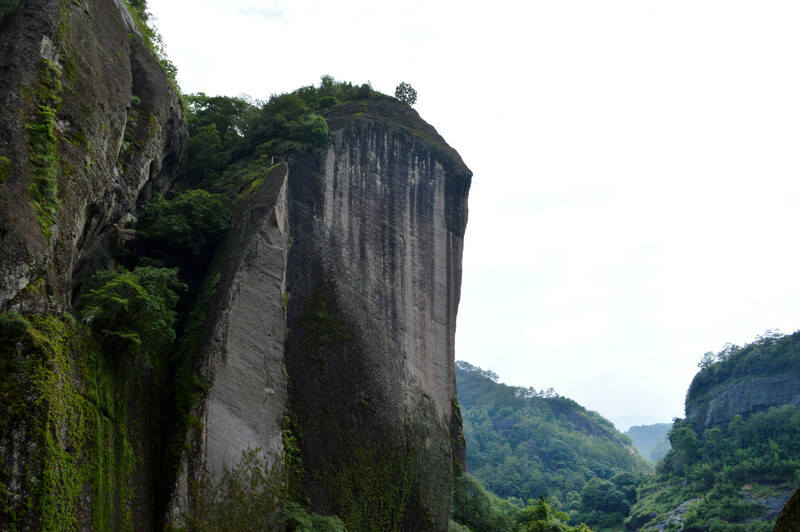 The city of Wuyi Shan has been a part of various kingdoms like the Min Yue and Song Dynasty at different times. But what has remained constant during the various historical periods is the fact that the region has been a political, educational, economic, and cultural hub since ages and still continues to be. The people follow different schools of thought, yet have a common interest in reading, learning, and education even today. Zhuxi, a learned Confucian has made the city famous by writing books and teaching students Confucianism for the last fifty years. 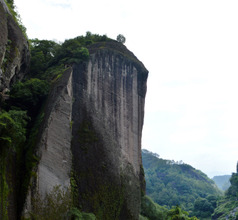 During the Communist party’s struggle, Wuyi Shan was also a prominent revolutionary base because it is the birthplace of many members of the politburo of the time. 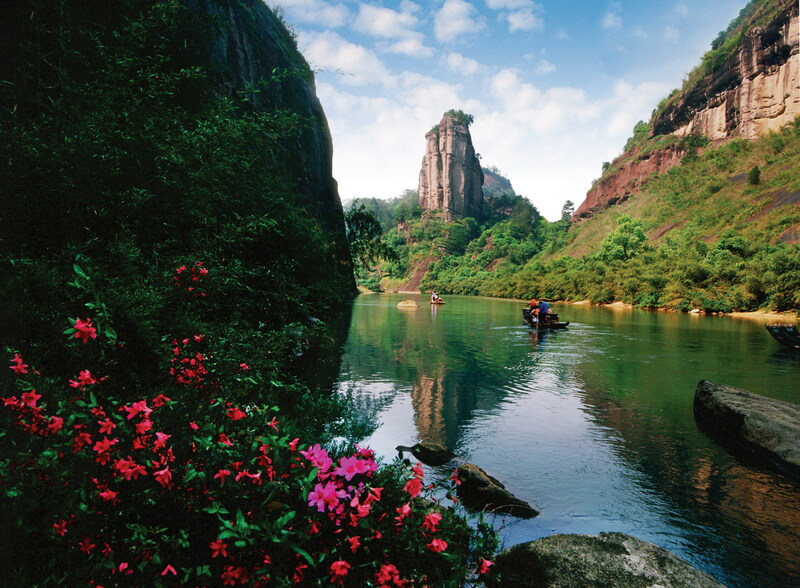 Being a well-known ecotourism site, the city of Wuyi Shan has become a popular tourist destination. 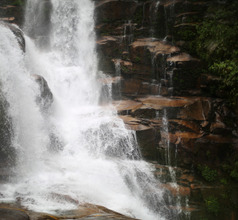 It has a well-organized infrastructure and has many tourist-related facilities. There are several deluxe 5-star hotels and upscale villa-style boutique hotels in the city. They provide several amenities like in-house International-cuisine restaurants, 24x7 housekeeping, in-room dining, customized sightseeing, and hiking tours, etc. For tourists traveling on a small budget, the city also has several low-priced inns, guesthouses, homestays, and youth hostels. 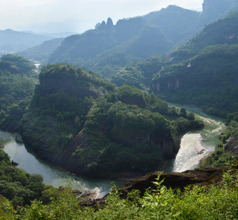 The Wuyishan Scenic Areas have been described as “green slopes and red mountains” due to the breathtaking scenery. The natural biosphere and manmade temples blend together and provide a harmonious picture of beauty, solitude, peace, and sanctity that has an unmatched quality. 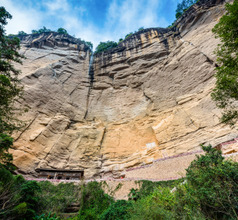 The magnificent Danxia landforms (red colored cliffs) are so unusual that they add splendor to the existing beauty of the region. 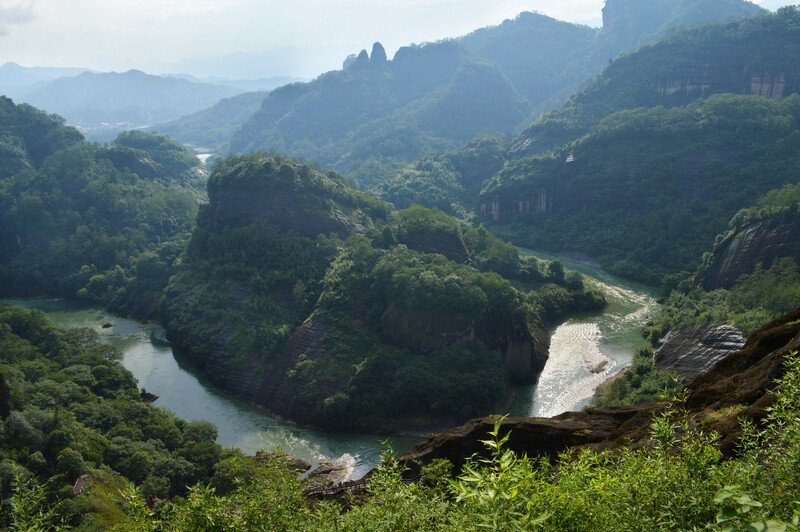 The most popular tourist activity in this scenic area is bamboo-rafting along the Nine-Bend River and viewing the 36 massive mountain peaks, including the gigantic Great King Peak. 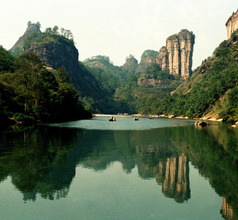 There are several hiking trails too for the adventurous tourists. 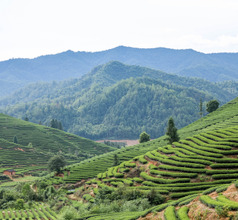 The mountains, rivers, rocks, and tea plantations form a vista that has inspired many poets and painters over the ages. 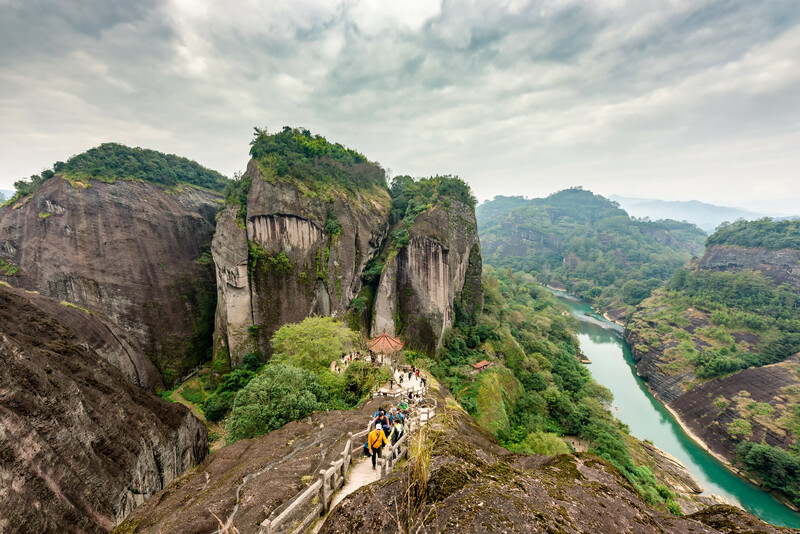 Another wonderful tourist attraction and a must-see is the Wuyi Palace Scenic Area located at the foothills of the Dawang Mountain near the Yiqu Creek. 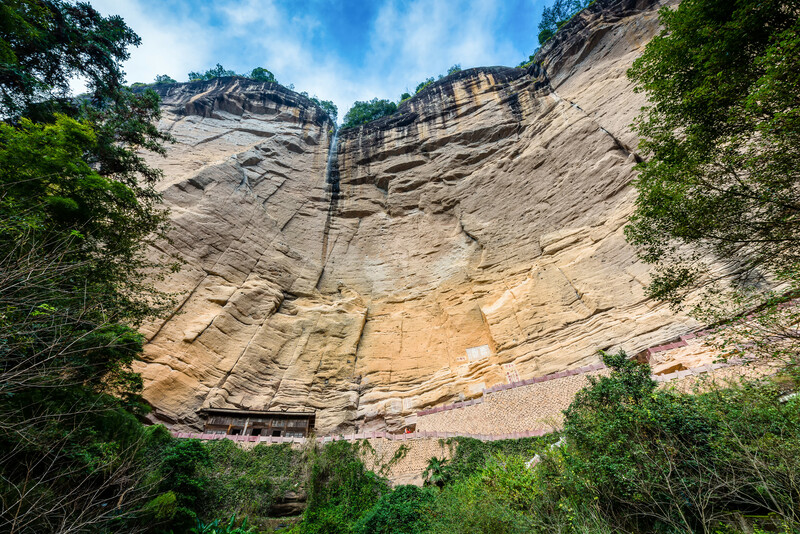 This palace has several names like Chongyou Temple, Tianbao Palace, or Ten-Millennia Palace. The palace compound covers an area of 3.5 square kilometers and has admirable architecture and artistically designed gardens. 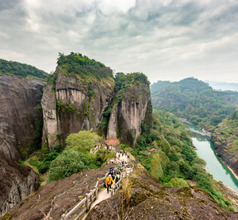 The Wuyi Shan City is surrounded by several other scenic areas like the Tongmu Pass, One Line Sky Scenic Area, Tianyou Peak Area, Roaring Tiger Scenic Area, temples, monasteries, stone steles, memorials, and more. A dual-purpose military and public use airport, Wuyishan Airport is in the Fujian province of China. It is a limited scale airport that caters to Wuyishan locals and offers them a venue to connect to the cities of Xiamen (13 weekly flights), Xi’an, Shanghai, Qingdao, Nanning, Guangzhou, Qionghai, Jinan, Beijing and Hong Kong. Buses take an hour while taxi takes 15 minutes to reach the mid-point of the urban center, 7 kms from the airport. For those who prefer traditional food it is a good idea to eat in the hotel’s in-house restaurant and carry packed lunch while sightseeing. The city, of course, has several western and traditional Chinese restaurants for the benefit of tourists. The local cuisine is meant only for the highly adventurous palate. The main ingredients they use are snakes, frogs, birds, fungi, mushrooms, and other items that are easily available in the mountains. The signature dish of Wuyi Shan City is the Jiuquzhufa, which is made with meat, fish, wild mushrooms, and bamboo shoots. Other famous dishes are Snake Banquet, grilled beans, Wuyishan wontons, Nutrient soup, etc.